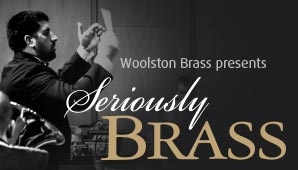 Seriously Brass will showcase one of New Zealand’s finest brass bands, Christchurch’s iconic Woolston Brass with Music Director Tyme Marsters. Featuring the 2019 National Brass Band Championship repertoire in preparation for competing in the A Grade band events being held in July in Hamilton, this pre-contest concert will impress with the band’s excellent technical skill and musicianship. Woolston Brass with Music Director Tyme Marsterswill perform a Sacred Item, A Grade Test Piece, Own Choice Test Piece and Street March. Woolston Concert Brass with Music Director Nick Johnson will also perform and showcase the breadth of talent within the wider organisation. Woolston Concert Brass is part of the Woolston Brass Academy and is registered as a C Grade Band. Join Woolston Brass and Woolston Concert Brass for an afternoon of contemporary music and be inspired by their musical excellence. An opportunity seriously not to be missed!